We’re Looking for a Few Good Men! 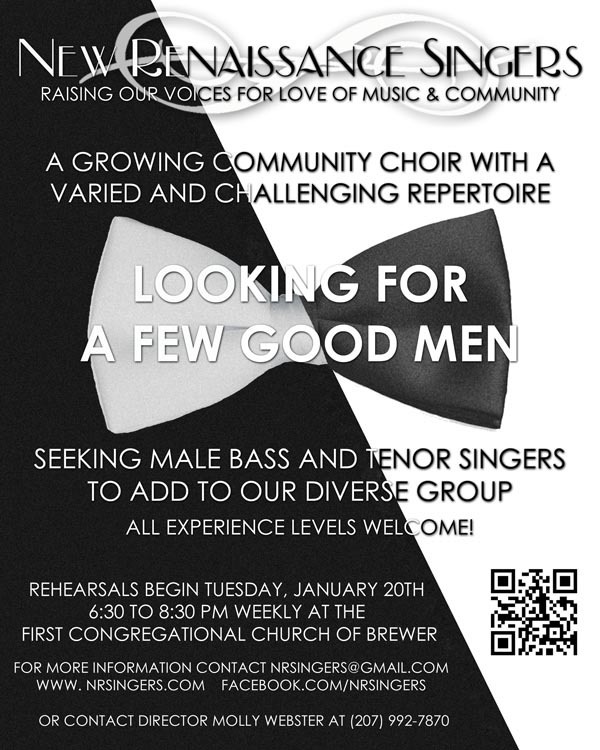 This entry was posted in Announcements, Rehearsals and tagged Bangor, bass, Brewer, choral, Chorus, community choir, singing, tenor by Tricia Griffith. Bookmark the permalink.